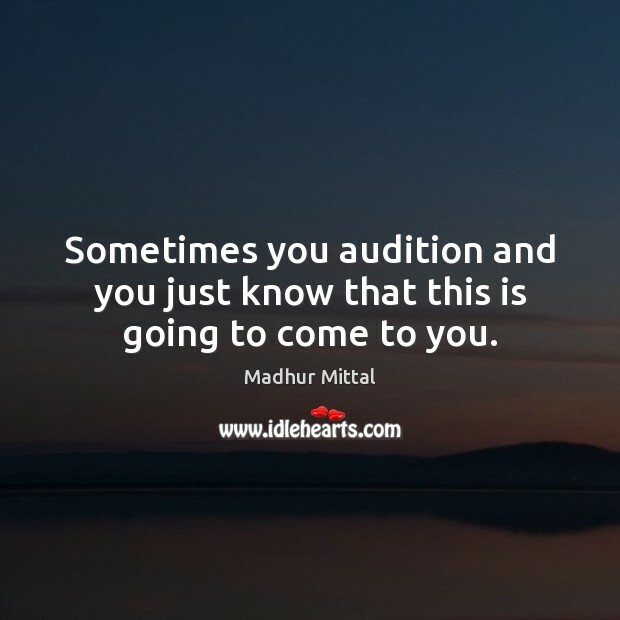 Quotations about Audition. Quotes to stimulate mind and drive action! Use the words and quote images to feed your brain inspiring things daily! 'Sparkle' fell into my lap. I had heard a little bit about it, that it was being redone in early 2011. I was just kind of like, 'Oh, that would be really cool,' and not really thinking too much about it, and then it came through my agency. 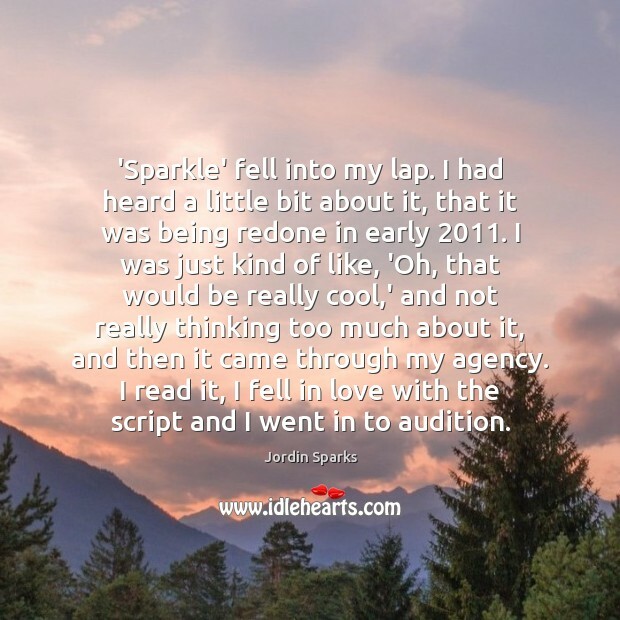 I read it, I fell in love with the script and I went in to audition. Everything in The Room, we did it the same way the big studios do it. The only difference is the budget and the actors. 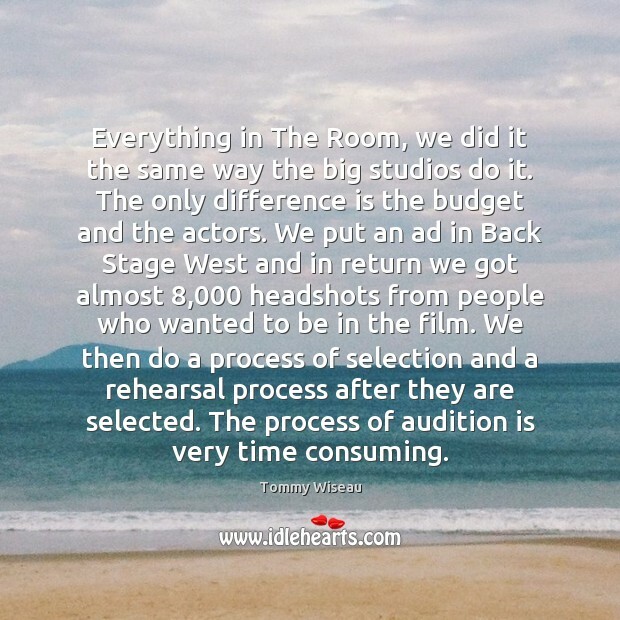 We put an ad in Back Stage West and in return we got almost 8,000 headshots from people who wanted to be in the film. We then do a process of selection and a rehearsal process after they are selected. The process of audition is very time consuming. I literally remember when I made my audition tape for 'Buffy'. I went to the Arsenal Mall. I got my outfit at Contempo Casuals in the Arsenal Mall and put some safety pins in my jeans. 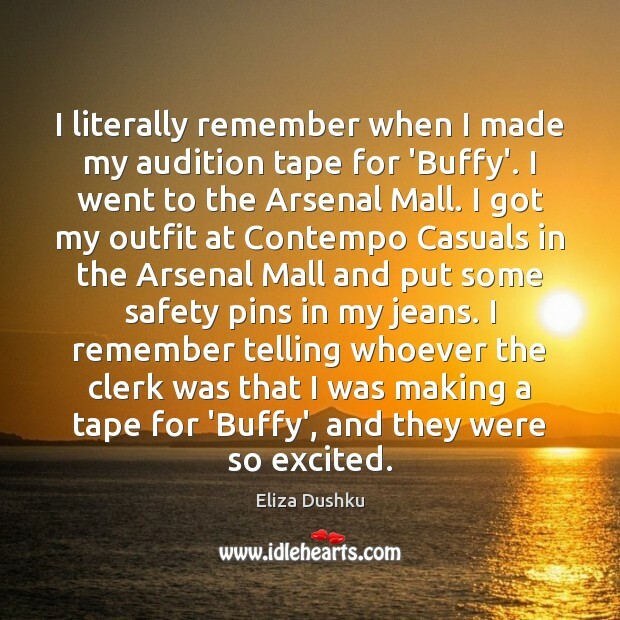 I remember telling whoever the clerk was that I was making a tape for 'Buffy', and they were so excited. It's a surreal thing because you are there and made up and dressed up as if you're making the film. 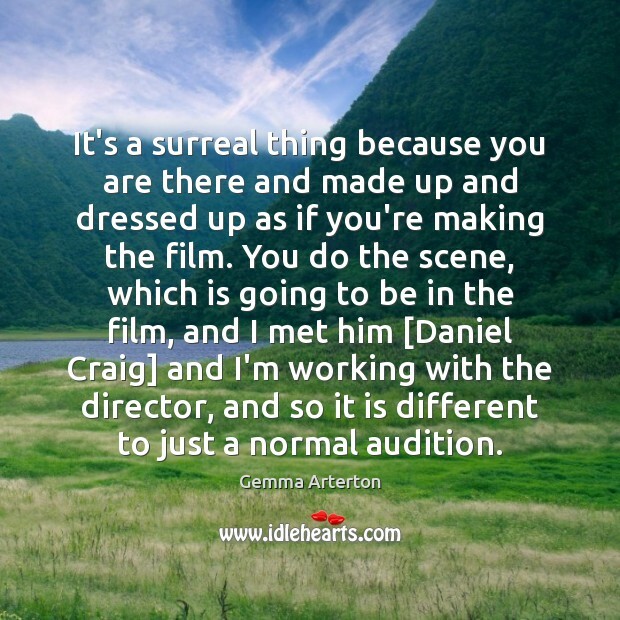 You do the scene, which is going to be in the film, and I met him [Daniel Craig] and I'm working with the director, and so it is different to just a normal audition. Sometimes you audition and you just know that this is going to come to you. 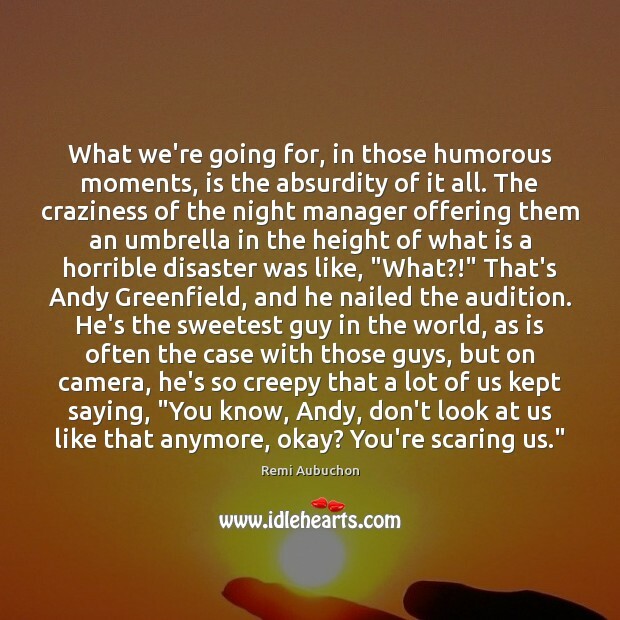 What we're going for, in those humorous moments, is the absurdity of it all. The craziness of the night manager offering them an umbrella in the height of what is a horrible disaster was like, "What?!" That's Andy Greenfield, and he nailed the audition. He's the sweetest guy in the world, as is often the case with those guys, but on camera, he's so creepy that a lot of us kept saying, "You know, Andy, don't look at us like that anymore, okay? You're scaring us." 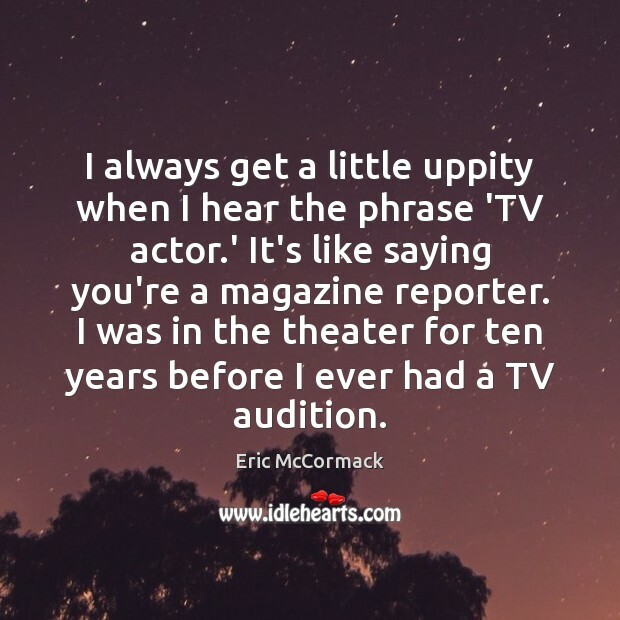 I always get a little uppity when I hear the phrase 'TV actor.' It's like saying you're a magazine reporter. 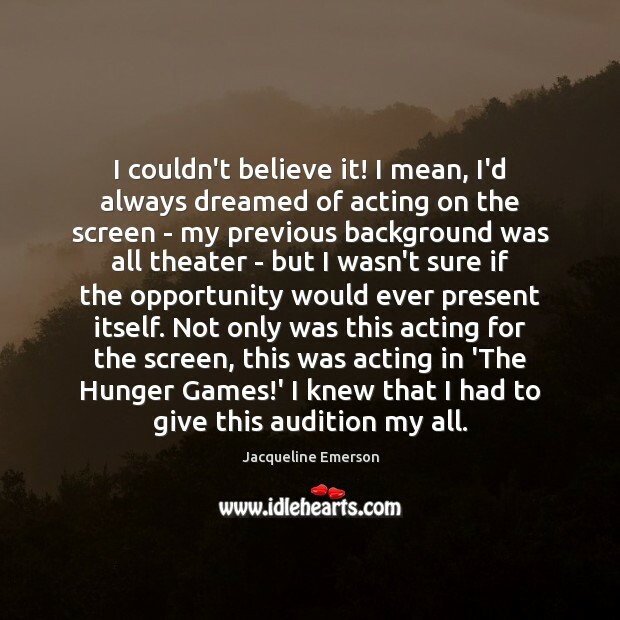 I was in the theater for ten years before I ever had a TV audition. Actors tend to get in their own way, a lot. 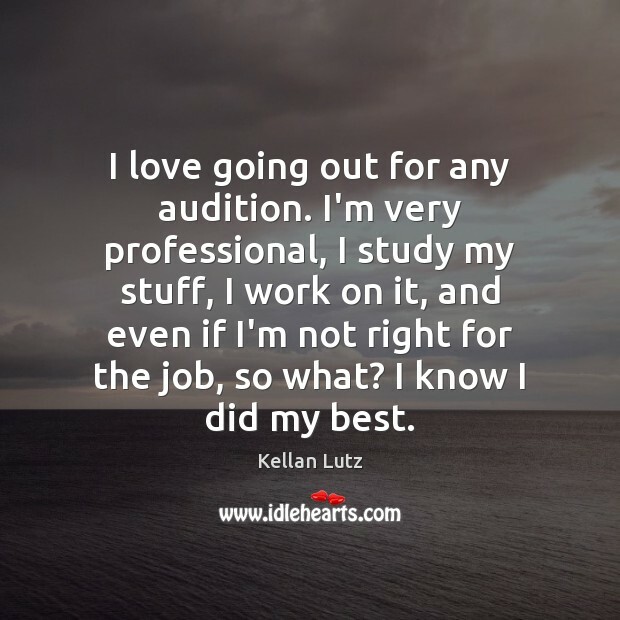 A lot of times you will do things that will screw up your audition process. 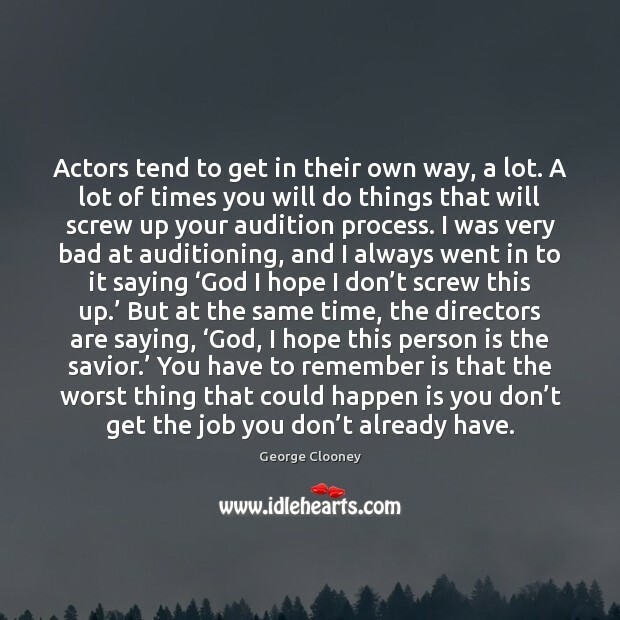 I was very bad at auditioning, and I always went in to it saying ‘God I hope I don’t screw this up.’ But at the same time, the directors are saying, ‘God, I hope this person is the savior.’ You have to remember is that the worst thing that could happen is you don’t get the job you don’t already have. 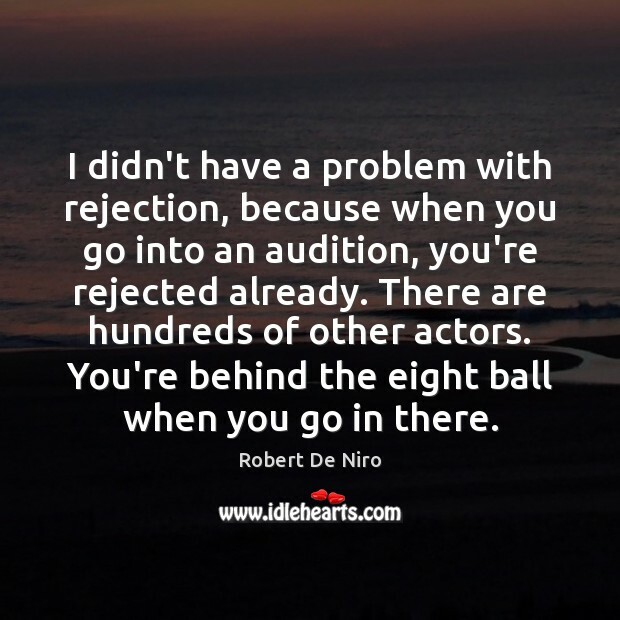 I didn't have a problem with rejection, because when you go into an audition, you're rejected already. There are hundreds of other actors. You're behind the eight ball when you go in there. 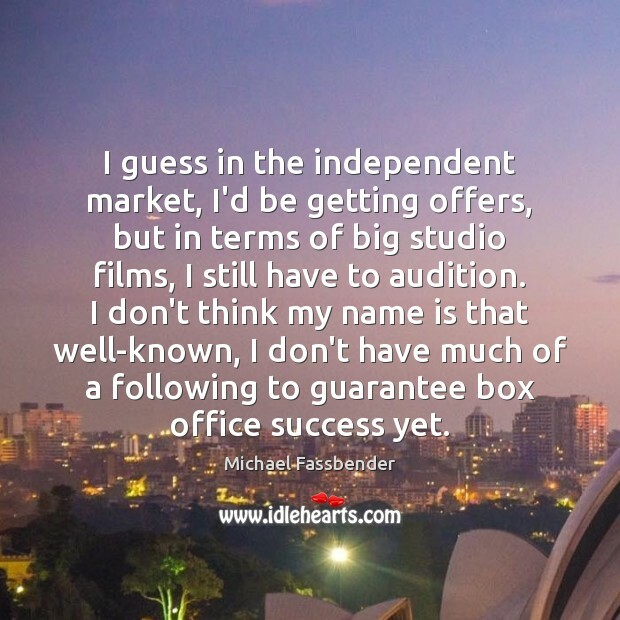 I guess in the independent market, I'd be getting offers, but in terms of big studio films, I still have to audition. I don't think my name is that well-known, I don't have much of a following to guarantee box office success yet. 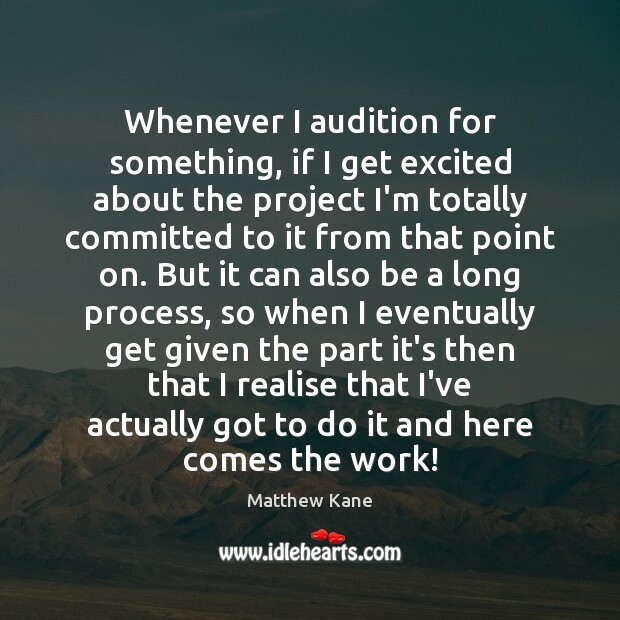 Whenever I audition for something, if I get excited about the project I'm totally committed to it from that point on. But it can also be a long process, so when I eventually get given the part it's then that I realise that I've actually got to do it and here comes the work! I love going out for any audition. I'm very professional, I study my stuff, I work on it, and even if I'm not right for the job, so what? I know I did my best. 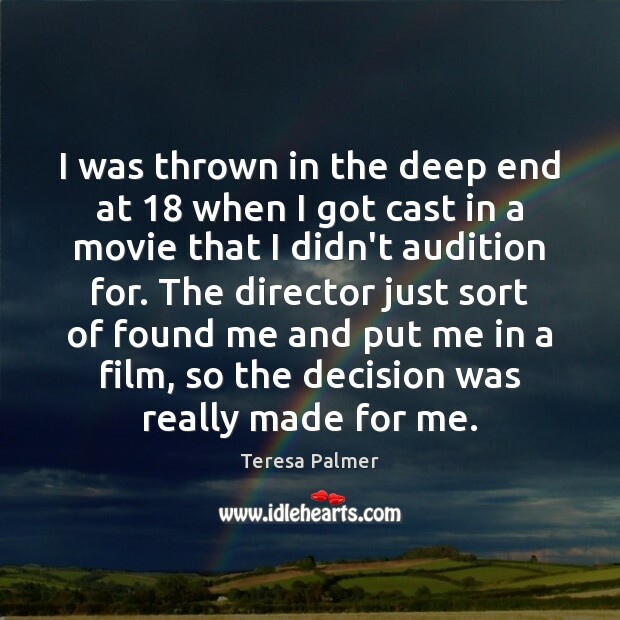 I was thrown in the deep end at 18 when I got cast in a movie that I didn't audition for. The director just sort of found me and put me in a film, so the decision was really made for me. I couldn't believe it! I mean, I'd always dreamed of acting on the screen - my previous background was all theater - but I wasn't sure if the opportunity would ever present itself. Not only was this acting for the screen, this was acting in 'The Hunger Games!' I knew that I had to give this audition my all. 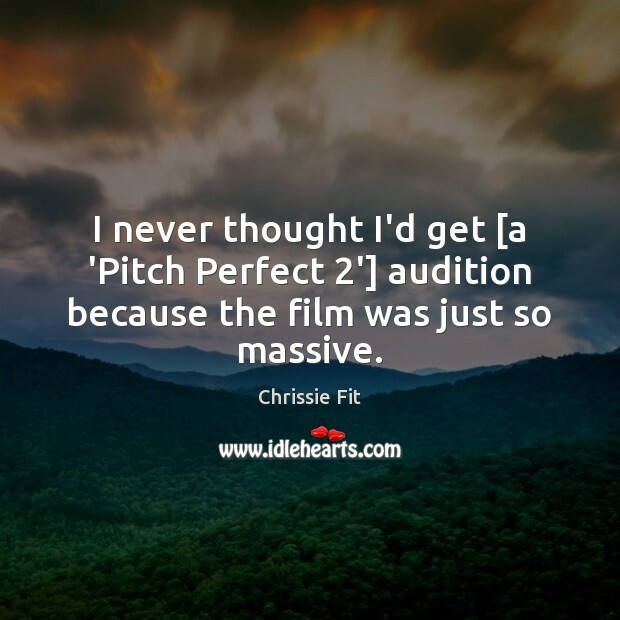 I never thought I'd get [a 'Pitch Perfect 2'] audition because the film was just so massive. 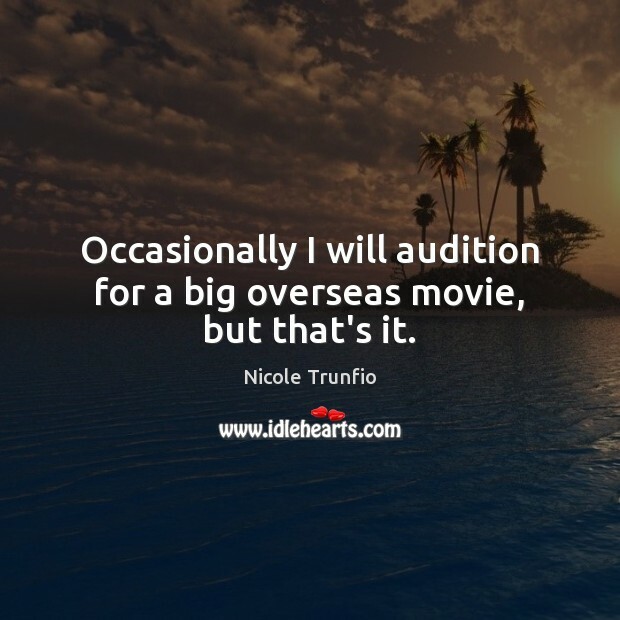 Occasionally I will audition for a big overseas movie, but that's it.